Launching This Month | Huda Beauty Lip Strobes - In 12 Beautiful Strobing Metallic Shades! 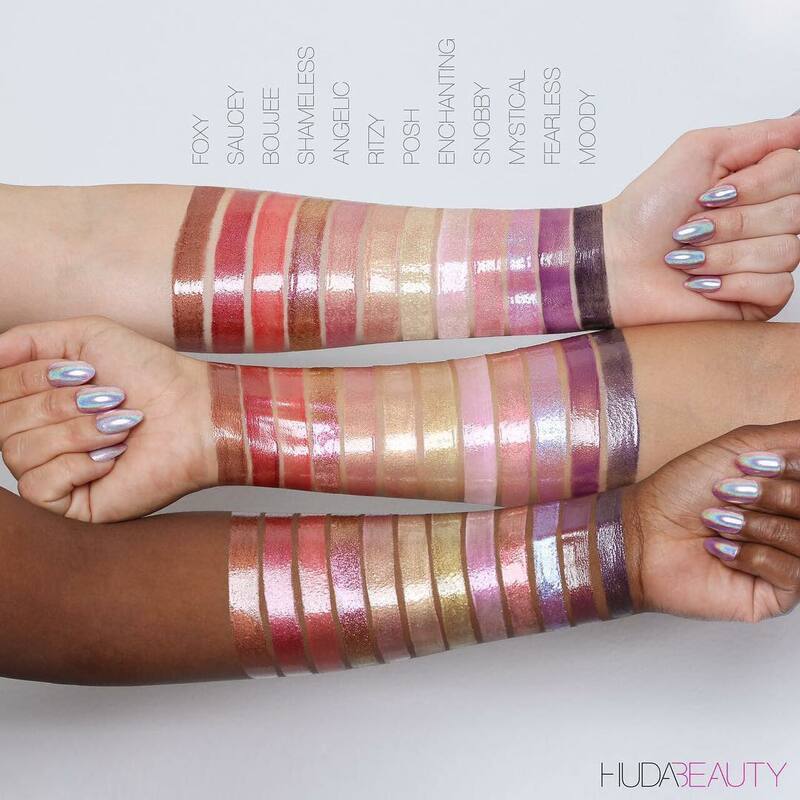 Launching This Month | Huda Beauty Lip Strobes – In 12 Beautiful Strobing Metallic Shades! I have always taken Huda Kattan as an inspiration. From being just a freelance makeup artist, to Instagram’s top most influencer and now, a businesswoman – she has achieved this level of success on her own with her hard work. Now Huda Beauty is not just a person behind an Instagram handle, this name has become a big and successful brand! The brand currently has an extensive range of Matte Liquid Lipsticks, Lip Liners (known as Lip Contours) and a gorgeous Eyeshadow Palette. This month, i.e. 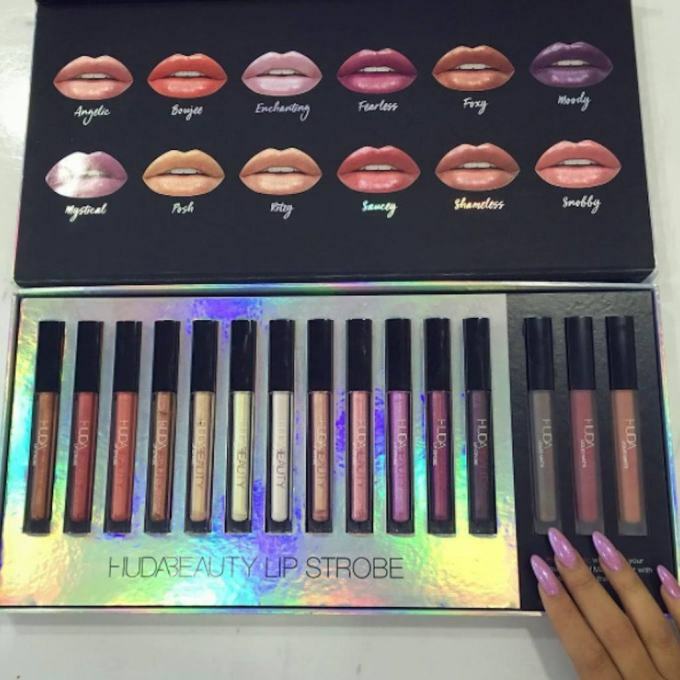 in June, Her brand – Huda Beauty is going to launch a new collection of lip products called Huda Beauty Lip Strobes. The queen herself announced this range via her Snapchat and Instagram in the month of April. 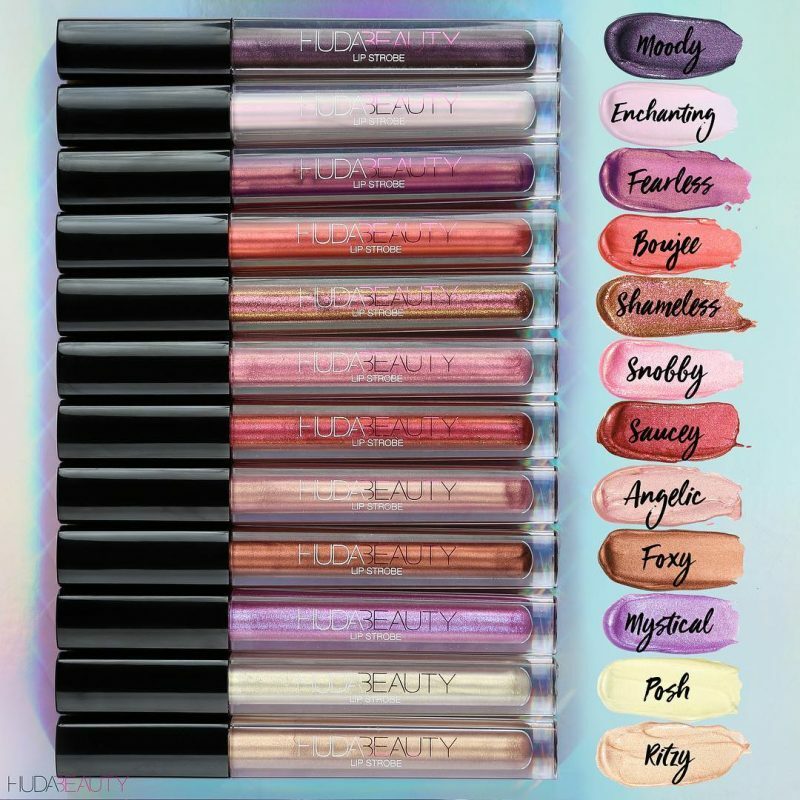 Huda Beauty Lip Strobes are basically metallic liquid lipsticks that will give your lips a lovely shine and make them look fuller. According to her, they are not just any ordinary gloss. They are strobing metallic glosses that can be worn in various ways. 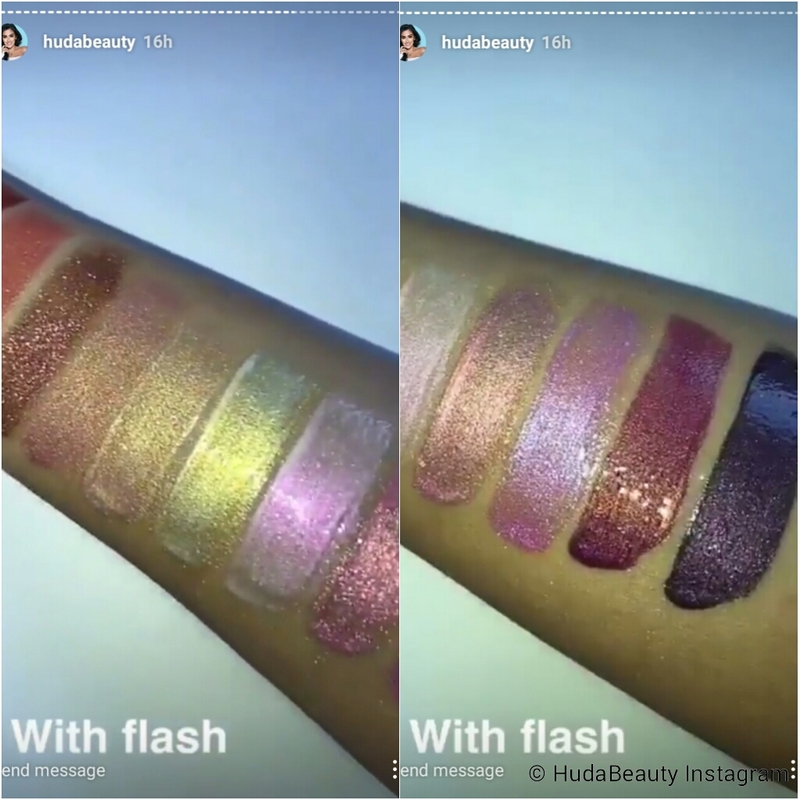 There will be total 12 shades in the Huda Beauty Lip Strobes collection ranging from light, champagne shades to dark purple shades. 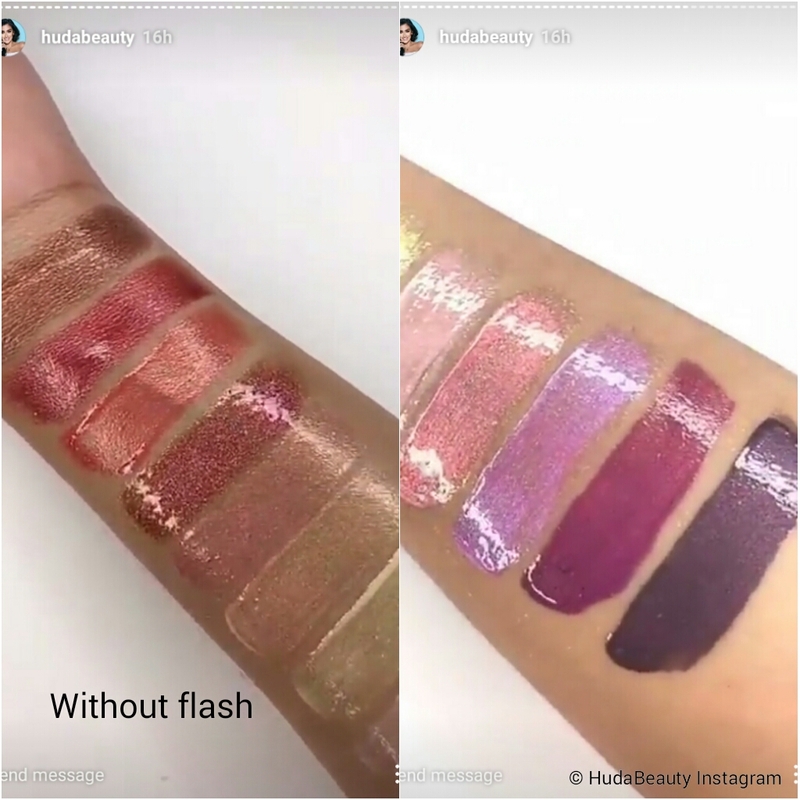 Below are the swatches of Huda Beauty Lip Strobes taken from her account and blog. Moody – I have seen Huda wearing this shade in her Instagram stories. It is a dark purple metallic shade. Very Gothic, but pretty! Enchanting – Powder pink metallic shade, which would have looked prettier if it was holo. Fearless – Medium pink metallic shade. Bougee – Coral metallic shade. Shameless – Copper metallic shade. Snobby – Similar to enchanting, but a bit darker. Saucey – Medium red metallic shade. Angelic – Don’t know what exactly should I call this shade, dusty pink metallic maybe? Foxy – Bronze metallic shade. Mystical – Very light purple metallic shade, I wonder if it has holo effects! Posh – Yellowish champagne metallic shade. Ritzy – Warm metallic shade. These are the swatch pictures, with and without flash which she posted in her instagram stories. Sorry, I could not take proper screenshots as she had posted only videos. 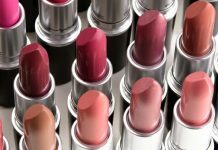 The darker shades like Moody, Fearless and Boujee, are more opaque so they can be worn by themselves while the lighter ones like Posh, Ritzy and Enchanting may require darker base lip colour, otherwise they may look washed out. The brand might add more shades to the collection in the near future, but the current shade range is just EVERYTHING! If I had to pick one shade from these 12 beautiful shades, I would pick “Saucey”! In one of her recent instagram posts, Huda used the Fearless Lip Strobe on her eyelids as an eyeshadow and it worked so well in that way! You can check out the video by yourself below. Currently, the exact launch date for the Lip Strobes has not been announced. She has mentioned that they will be launched in the beginning of the June, so that can be anytime within the first two weeks of this month. There is no news about the price of Huda Beauty Lip Strobes either, but I am guessing that it will be same as her Liquid Matte Lipsticks i.e. – $27 USD. I am not sure if this holographic box with the whole of the Lip Strobes collection will be up for sale. I think it’s just for the influencers and makeup gurus of Instagram. I am really excited to see my favourite instagrammers use these gorgeous lippies and show their creativity with them! 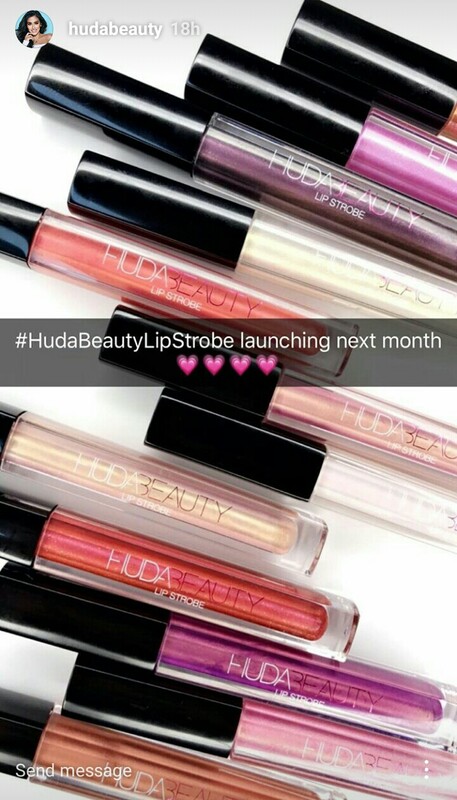 Once they are launched, Huda Beauty Lip Strobes can be purchased from Shop Huda Beauty and hopefully, Sephora UAE too. 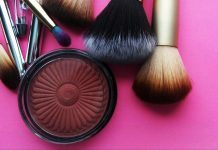 You can buy Huda Beauty Products in India through certain instagram beauty stores. 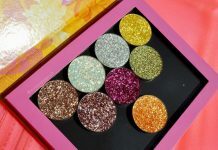 Shop Huda Beauty ships the products to India and they deliver for free on orders above $75 USD, so you might consider buying their Eyeshadow palette or 3D Highlighter Palette (which is a new launch) along with the lip strobes to save $$ on shipping charges. Be careful about the customs duty though! So makeupholics, do let me know what you think about these new products in the comments section below! Are you eying any particular shade? *Images/Videos used in this post belong to HudaBeauty instagram. I hold no rights over them. Yeah enchanting thoda jyada hi light hai Indian skin tones keliye. Aap jarur lenge someday ❤❤. Instagram pe giveaway bhi hoga shayad inka. ☺ Thank you!!!! How much for the pack?